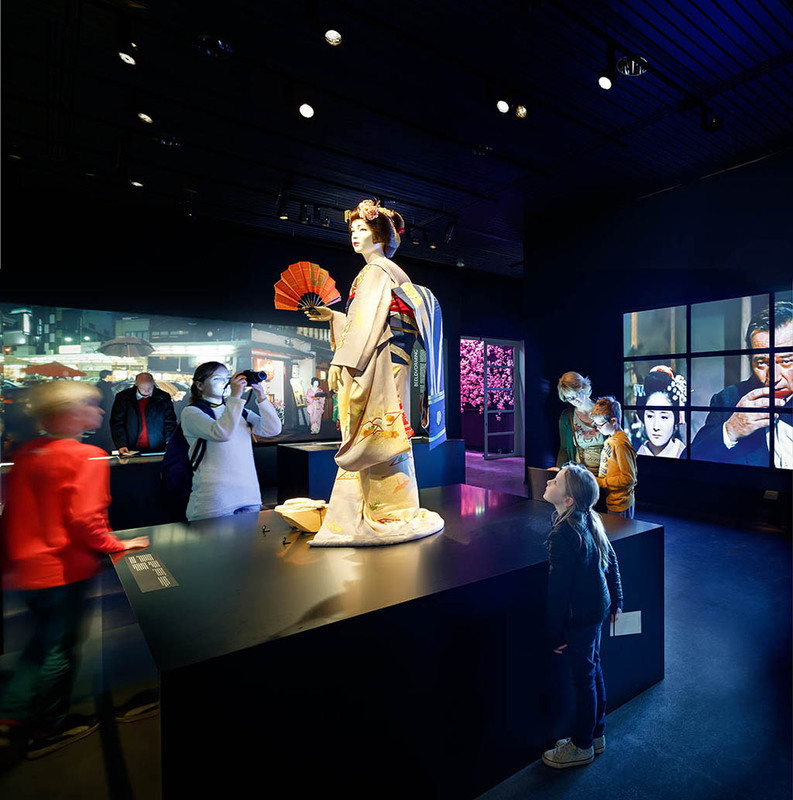 Kossmann.dejong has designed an exhibition in collaboration with curator Floor Scholte and under supervision of Prof. M. Forrer, in which visitors can get acquainted with the most controversial phenomenon and style icon of Japanese culture: geisha. 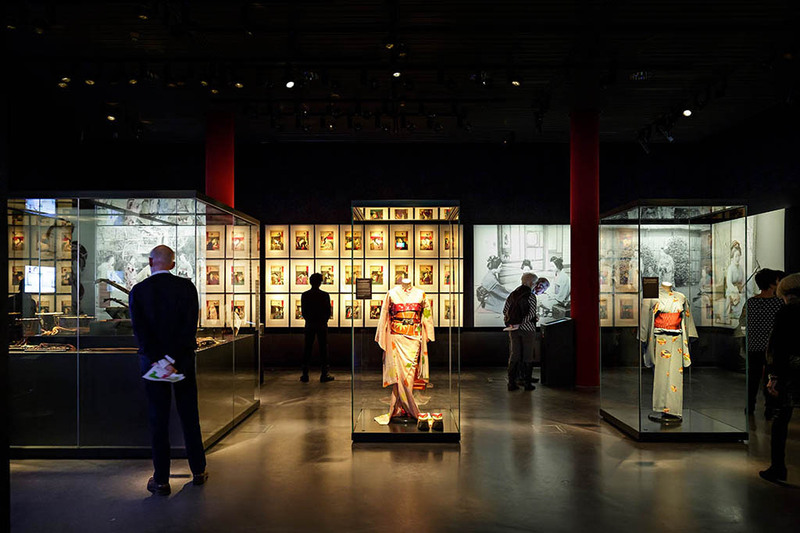 The exhibition in Leiden shows the right balance between the museum’s world-renowned historical Japanese collection and the magnificent collection of kimonos and utensils on loan from a geisha house in Kyoto. 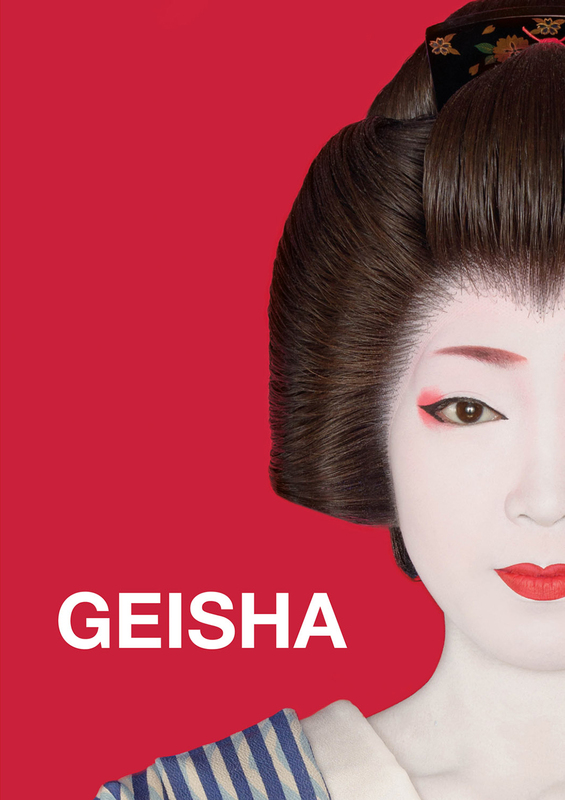 By playing with changing perspectives and interconnecting story layers, misunderstandings and prejudices around the geisha are elucidated. 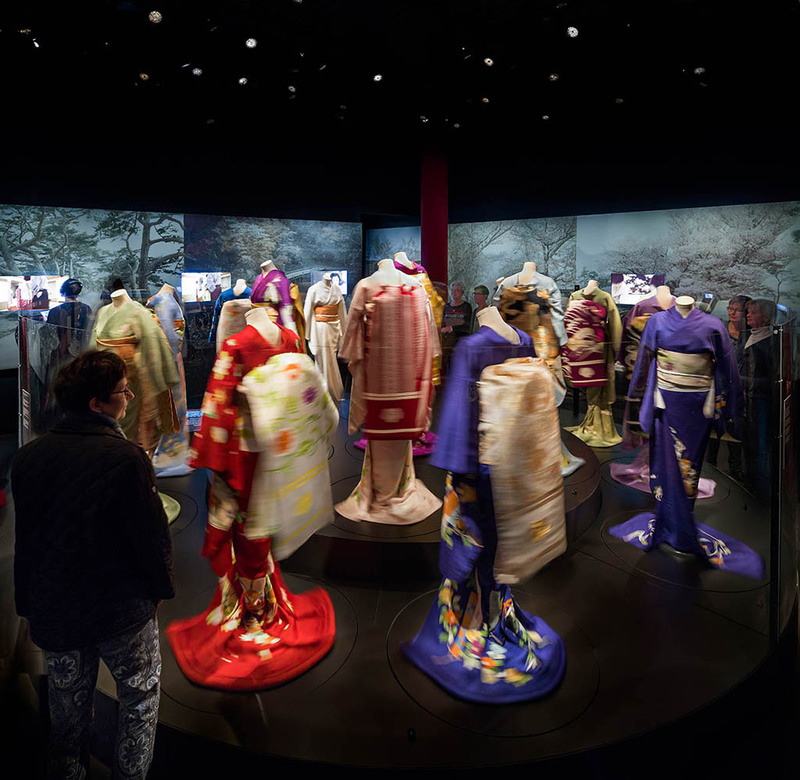 The geisha as an icon and her daily practice are presented in a broader context in the first part of the exhibition. 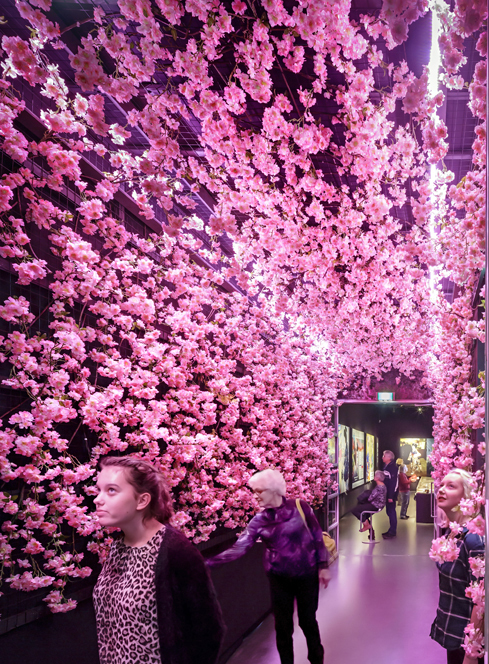 Visitors enter the ‘making of’ part via a hedge of cherry blossoms. A world that no one is allowed to see. A multimedial image of endless training and dedication. 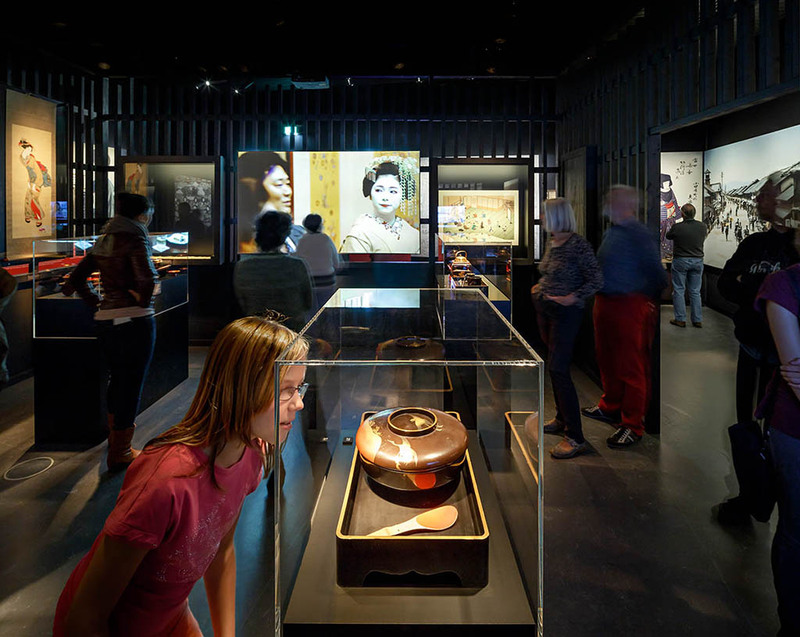 A place full of temptation, mysticism and symbolism. Here we find the pursuit of absolute perfection. 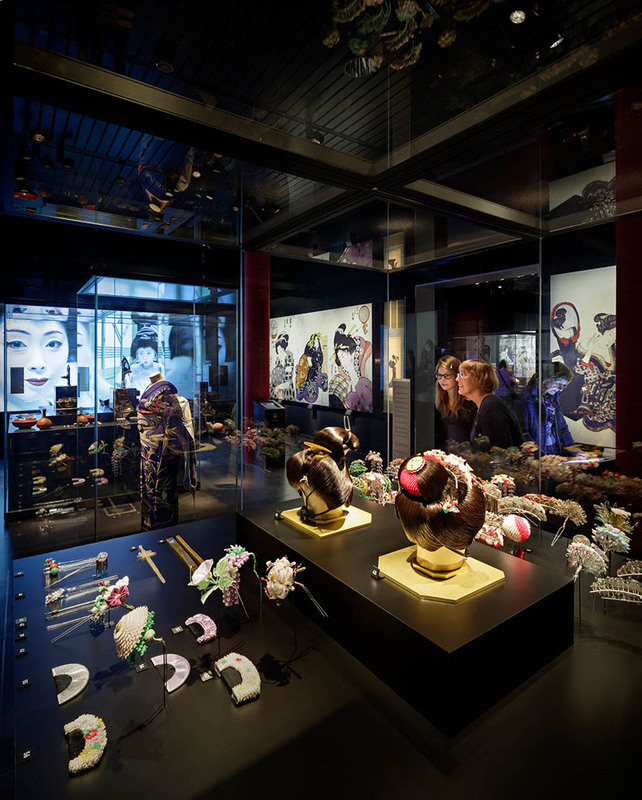 Kossmann.dejong is a design studio in Amsterdam for exhibition architecture. 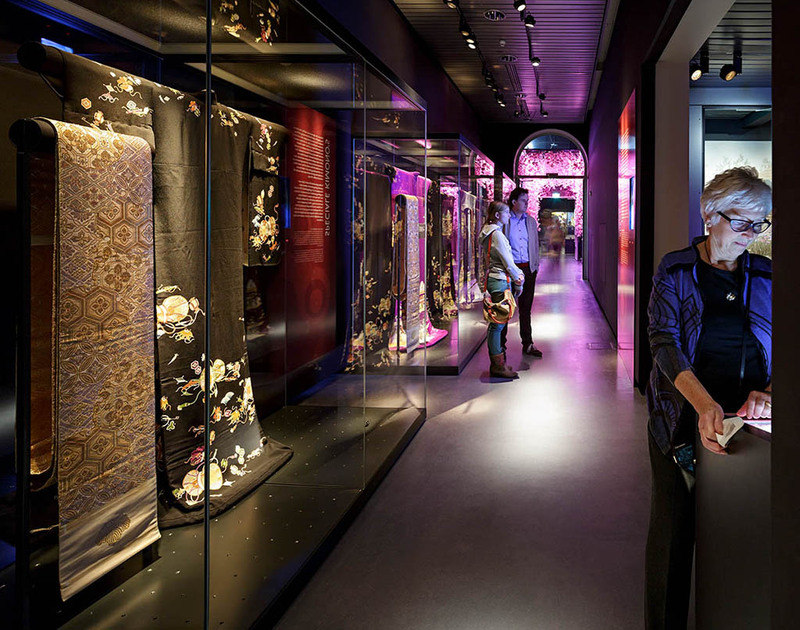 A characteristic feature of the design approach is linking content with visual elements.